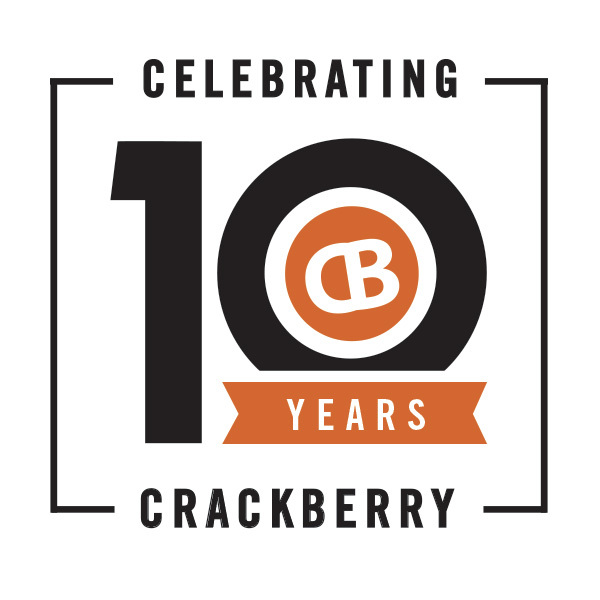 Input Wanted: What kind of 10 Years of CrackBerry Tees & Swag would you like to see?! Put your thinking caps on CrackBerry community... it's time to come up with the next generation of CB gear and BlackBerry tag lines! In our earliest years of CrackBerry, I used to get hounded almost daily to sell CrackBerry gear in our ShopCrackBerry store. There's a long, complicated story as to why we never did that (maybe it'll be told before this month is over in our upcoming CrackBerry Confessions series! ), but over the years we eventually came up with some fun ideas for t-shirts and swag that we'd either sell or give away. To mark CrackBerry's 10 Anniversary proper and prep ourselves for the next generation of BlackBerry Smartphones, it's time for all of us to put our thinking caps on to come up with some new slogans and ideas for CB swag. We're making some exclusive tees utilizing the classy logo/badge above that we'll give away this month, but beyond that I'd love to come up with some more ideas. Below is some inspiration from CrackBerry years gone by to get your creative juices flowing. Some of our slogans like BlackBerry By Choice and RIMPIRE STRIKES BACK we're pretty damn fun. How do we top it?! If you have any thoughts, drop them in the comments below. And if you're by chance a designer and have some inspired ideas, draft them up and email them to me at kevin @ crackberry.com. Maybe we can put them to use! Limited production run of 20, in bright green. If you're reading this and have one of these, you have in your possession our most historic piece of swag! This was a big hit at Research In Motion's Annual General Meeting of Shareholders. Maybe in hindsight I really should have made the legit push to get on the Board of Directors! Very technical - these helped spread the BlackBerry word at the Canadian Grand Prix in Montreal! Stickers and Pens and Things!